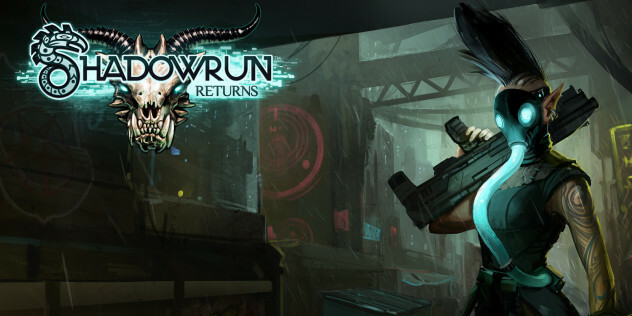 This weekend, in a fit of popcorn-induced insanity, I decided to purchase a copy of the Kickstarter-funded Shadowrun Returns on Steam. Why did it take a fit of insanity for this to happen? Because Shadowrun Returns is a cRPG, and I have a long history of abandoning them after a couple of hours. Based on the 1989 tabletop game Shadowrun, Shadowrun Returns is a re-imagining of an old SNES/Genesis game built for the modern audience. Set in our future, a future in which magic has returned and meta-humans (elves, trolls, dwarves and the like) are a part of everyday life, the game tells the story of your investigations into the death of a fellow Shadowrunner. The setting of the game – cyberpunk-meets-high-fantasy – is a large part of what attracted me to it in the first place. It isn’t my ultimate sub-genre niche setting – that would be steampunk-meets-high-fantasy – but it’s close enough. Before I go any further, I have to admit that other than what I mentioned above, I know nothing about the Shadowrun universe. I’m picking up bits and pieces from the game itself, but not as much as I would like. This isn’t necessarily a weakness in the game, as the story you are presented with is rich and well written (if you like the true crime and detective genres), but from my point of view, I’m far more interested in a story’s universe as a whole, including it’s origins and overall timeline, etc. Other than the game’s setting, the main thing which attracted me to the game was its turn-based combat system. I had an assumption that this mechanic might be similar to that of XCOM: Enemy Unknown – I was wrong. You see, I’ve recently started playing games on my new laptop. I avoided this initially as I preferred to kid-myself that the laptop was for productive use only. This is only about 60% correct however, with 30% being allocated to general entertainment (gaming, browsing websites, etc) and 10% to coolness factor (I’ve got one bitching laptop). But gaming on my laptop is different to gaming on my desktop. My desktop, which I custom built three years ago to be a gaming power-house, is well suited to games like the Modern Warfare series, Crysis 2, Burnout Paradise, Guild Wars 2, et al. It is starting to become a little dated, but is hanging in there like a champ. The laptop, however, is better suited to more – dare I say it – ‘casual’ games, which I can play on my sofa, rather than having to sit at a desk. I’m not sure that casual is the right word however, as you won’t find me playing any Facebook or PopCap games with it. Rather, a word like ‘slower’ might be better suited? What do I mean by slower games? Well, point and click adventures are an example, as are turn-based strategy games, and of course, cRPGs. Shadowrun Returns easily fits into each of the two latter game types, and could be argued to fit the first as well, although this might be a bit of a stretch. The second game I installed on my laptop was XCOM (the first was Space Hulk), and despite not being very good at it (or Space Hulk), I’m enjoying them both all the same. This recent excursion into turn-based gaming is letting me take my time and plan out my attacks, rather than relying upon twitch skill (which, alas, seems to be fading in my old age). To this end, Shadowrun Returns features cover-based game play with a turn-based interface, like that of XCOM, unfortunately, that is where the similarity ends. I don’t think that the combat mechanic offered by the game is bad, I just think that it’s a bit lacking. When I play XCOM, each move I make is full of dread, and any mistakes I make will have consequences. When I do the same in Shadowrun Returns, it’s business as usual, no big deal. There isn’t the same need for tactics as required in XCOM, you just get within range of who you’re trying to kill, and kill them, before moving onto the next guy. There are a couple of things which I do prefer about the combat in Shadowrun Returns verses that of XCOM, such as the ability to see a character’s hit-chance on enemies from each location on the board before moving there (on a few occasions I’ve moved somewhere in XCOM, only to find that I’m worse off for it), but these are interface improvements, not game play ones. Maybe I’m being unfair? Maybe to compare combat in XCOM (which is at least 75% of the game) with combat in Shadowrun Returns (which is closer to 35-40%) isn’t balanced, and I should forgive it if the rest of the game is good? This could well be the case, but I’ve heard that the cover-based system is unique to Shadowrun Returns in all the Shadowrun games, and so I could easily imagine that they’ve adopted it simply to tap into XCOM’s popularity. So what is the rest of the game like? Dialogue heavy and linear. Lets start with the first one. If you’re going for a game that is heavy in dialogue, then that dialogue had better be good. Thankfully it is. 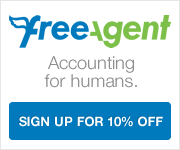 There are no voice-overs, so you’ll be doing a whole ton of reading. Some people like this, especially the cRPG crowd, and some people don’t (such someone who might have purchased the game mistaking it for something similar to XCOM). Alas, I fall into that second camp, but am sticking with it regardless. I have to be perfectly honest, I don’t think I’m as invested in the story as I could be (for reasons discussed above), but I would like to see it to the end, even if only to say that I did. Unfortunately, this leads me to the second point made above, that of it’s linear nature. There is one route though the game, and one route only. You enter an area, talk with a few people, maybe have a fight – or maybe avoid said fight by having enough Charisma – then complete your objective and the move to the next area, where the cycle begins again. This is very-much reinforced by the inability to save mid-area (although, apparently, this is being fixed in an upcoming patch). There is variation within each individual area, and you’ll often find multiple ways of solving whatever problem you face, something which has impressed me, but there is no variation in the overarching story. No side-quests of consequence. No back-tracking. No alternatives to the direction the game wants to take you in. And no reason to play again. Maybe games like Mass Effect have spoilt us, but if that is what action RPGs are able to give us, you’d expect a cRPG to do the same. At this point I’d liken the game to an interactive story. I don’t mean that as an insult or a put down, I’m just trying to best frame the experience I’m having with it. Each area is a new chapter, full of interesting characters to meet and interact with. I think this is highlighted well on occasions when you find things like clues. At one point in the game you find a photograph, where as other games would just show you a picture that you’ve found, this game instead not only fully describes it to you, but also describes how the character feels about it – like any good book would. I could talk about the character creation, levelling up, item variety, etc.. but none of that has really had any impact on me. I’d love to tell you that I’ve upgraded my gear and weapons, and that the new stuff is awesome - but I haven’t. I don’t know if this is because I’m not high enough level yet, and that all the cool stuff is just around the corner, but after being 6 hours into what is reported to be a 12 hour game, I would have expected a little more progression by now. I am somewhat impressed by the way you level up, however. As combat appears to be a very minor part of the game, and something which can be easily avoided on a lot of occasions, rather than award XP for killing people, you get Karma points for each action you complete successfully, which you’re then able to spend on ability upgrades. The aforementioned action could be killing all your enemies, or getting past them without having to engage in battle – whichever suits your motivation best. This freedom really lets you play the game how you want – within the confines of the area you’re in, of course. Bottom line, I’ve got a feeling that I would prefer to play the DLC for the game which is released at the end of the month. A lot of the complaints I’ve made about the game are reportedly fixed in it, and as such, I feel I’ll be able to get my teeth into it a little better. The only problem with this, of course, is that it’ll cost me an additional £12 to buy – which I feel is a little expensive, seeing as the main game only cost £15 (and is available for under a Fiver on Android). Anyway, now this game has whetted my appetite for cRPG games, I plan on completing it within the next week, before moving onto Planescape Torment (and have ambition on Divinity: Original Sin, once it seems a full release). Daniel Hollands is a jack-of-all-trades web developer trying his best to keep up to date with everything the Web has to offer. He keeps this blog in the hope that someone might find what he has to say useful. Visit his Homepage, follow him on Twitter, Facebook, LinkedIn, and Google+, or hire him for your next project. This entry was posted in Gaming and tagged cRPG, Divinity: Original Sin, His Dark Materials, Philip Pullman, Planescape Torment, Shadowrun, Shadowrun Returns. Bookmark the permalink.